It’s black and it’s white, it’s simple; it’s vintage. It’s resilient. But in no way, is it elementary like vanilla. Decades ago when motion pictures were released, our great-great grandfathers reveled in the joy of silent movies, giving creativity a platform and an audience entertainment. While they grew up banking on such theatre for out-of-mind experiences, it’s safe to say that the same affair can be sparked to light for a generation of millennials to display a past so true, that ancestral roots are rekindled with their own. 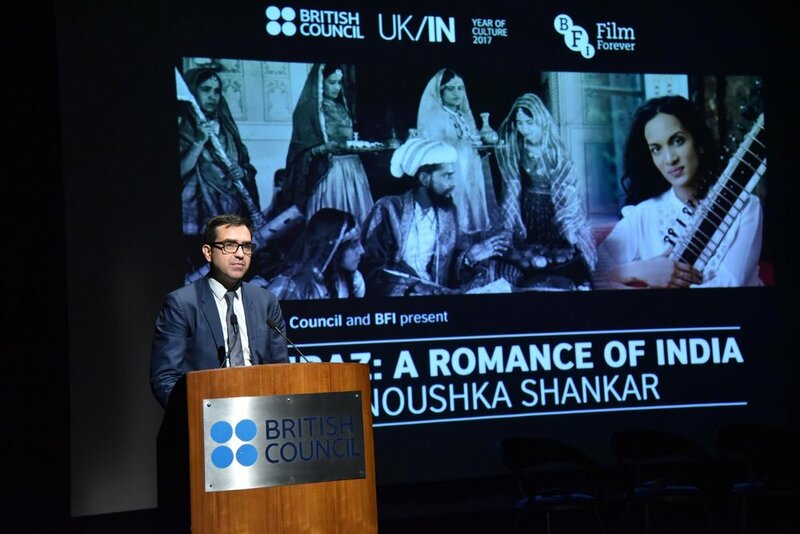 And so has been made possible by The British Council and the British Film Institute (BFI)’s bold initiative to restore an epic saga - Shiraz: A Romance of India – that narrates the love story of the 17th century princess who inspired the construction of the Taj Mahal. To add an extra pinch of passion and set the film ablaze, the background score was provided by world renowned musician, Ravi Shankar’s equally, it not more, talented daughter, Anoushka Shankar. An Indian classical legend, Shankar has worked hard with her posse to tap into the very meaning of this age-old drama to bring forth its hidden romance through the language of chords. Debuting for an India tour this November, the film will go on to the United Kingdom leaving behind its trail of mischief. A mischief that lingers within young minds of the 21st century as to how the controversy around the film regarding lip locks was received in an era where using so much as a profanity was seen to be reputation ruining and how such events inspired the seventh wonder of the world! Restoring our culture, be it now or in the near future is always a commendable action. For in not doing so, an entire sect of our youth loses out on what initiated the modern era, we call home today. But a cliffhanger remains, will the rebirth of silent cinema be gripping enough to take this harsh mouthed world head on, or will it stumble into the pits with our forefathers? Who is to say, only time and occupied seats will tell!